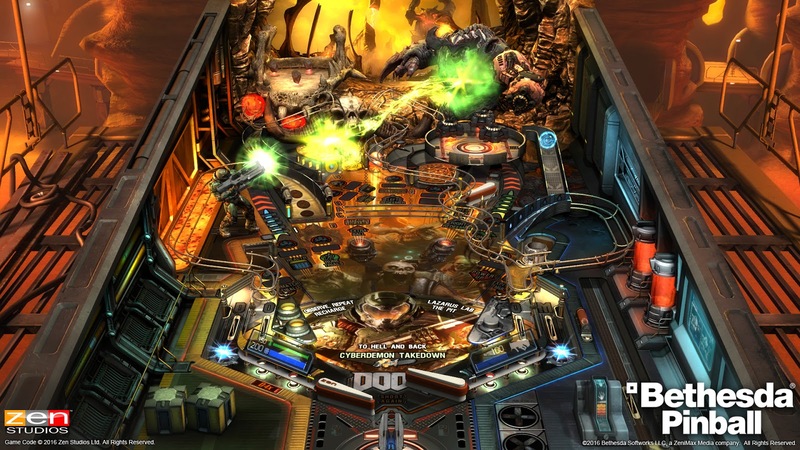 Standard intro to a pinball review is me saying how much I love Zen and how they keep a game that feels pretty old still ticking over thanks to DLC. 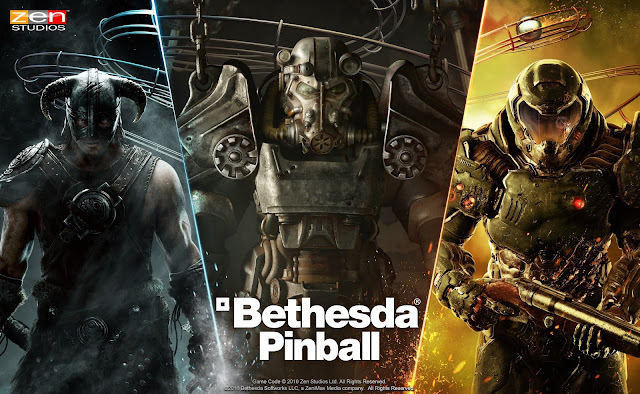 I tended to be writing up nothing but Marvel table reviews on this game in the past, but they've decided to have a change this time around and team up with Bethesda for a triple pack of three of their finest games. This pack offers pinball tables in the form of Doom, Fallout, and Skyrim, with the pack costing you just £8.99/$10.99 if you fancy picking it up. If you're expecting a deep review of these tables then I will tell you now this will be anything but. I'm a drop in and out guy when it comes to Pinball FX2, with it working well for a game that offers a great change of pace when I've played too many games for the site. All Tables have their own little unique thing, with Fallout perhaps having the biggest feature in which you create a character (of sorts) at the start of each game, and as you play the table upgrade him/her with five points to kick things off. While the sounds like a cool idea it didn't really do anything for me, with me as a player just wanting to play a table that needed zero thought when playing. Confusing things with such things just made the table a bit dull for me, and if anything took a little of the shine away of getting to play a Fallout themed table. Doom next, and this one comes across the most modern of the three tables. Right from the off you are given a choice of "hurt me plenty" or "nightmare" way of play, which in normal words means no help such as Kickbacks, ball saves and extra balls with nightmare mode taking these away but giving you increased scores in the process for doing so. Decent size table means for a fast play on this too, and I love me some fast, frantic play. Then Skyrim, another table that much like the Fallout tries a bit too much. 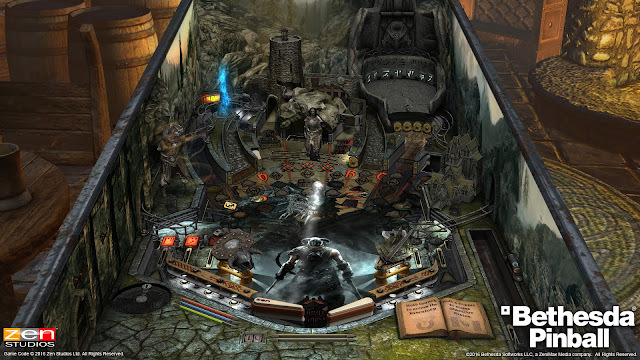 A choice of characters such as elf mage, orc and human mage to name just a few are awaiting your choice before even hitting a ball on this table, with it once again trying to bring the RPG element into what should be a fun pinball table. 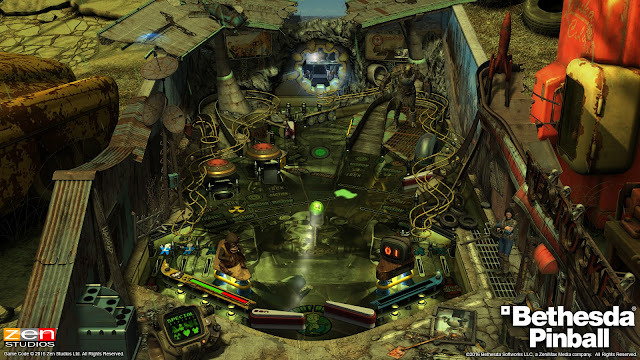 Like I said above if anything it takes away from the table once again and tries to give it a story like feel when a pinball table doesn't really need it. Overall: While being mostly negative on this review, the pack is still a decent set if Bethesda things are your jam as it were. Doom is great fun to play, and so are the other two when putting the negatives to one side. The fun of still trying to score high is there on all of them. Add in mates buying the tables and it really does make you keep coming back to top the leaderboards.